Description: An easy tip how to recover your Facebook account using trusted contacts when your account is hacked and email ids or phone numbers removed. 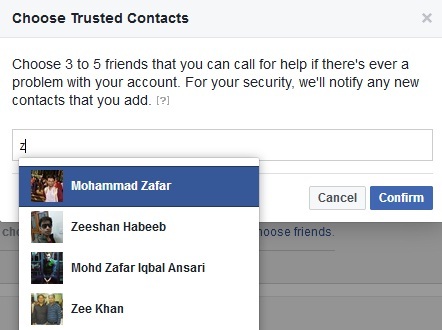 Have you heard about the trusted contacts in Facebook? If no, trusted contacts are the friends you are very close. Your trusted contacts are friends you chose who can securely help if you ever have trouble accessing your account. You can contact them offline (meet personally) or over your phone. Trusted contacts can help you to log into your Facebook account, if you have forgotten your password, without asking any security questions. Suppose that a hacker or your bad wisher hacked your account and then he/she remove your original email ID and your phone numbers then it is really hard to get back your account from the hacker. In that case, trusted contacts can help you easily without any trouble to recover your Facebook account so I recommend you to add trusted contacts in your Facebook account to secure your account for the rest of the life. 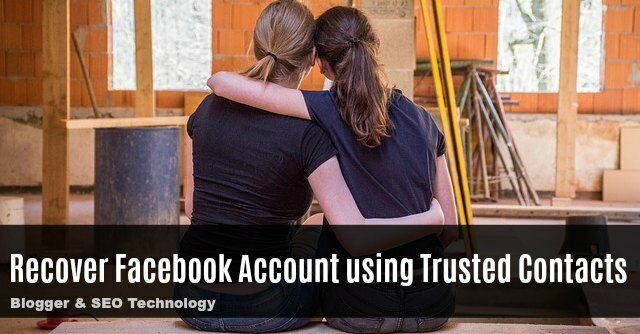 In this article, we will guide you how to add trusted contacts in Facebook and how you can recover Facebook account using trusted contacts. Open your Facebook account, and go to 'Settings' under drop-down menu and click on 'Security and Login' or click here on Facebook Security and Login page. Now scroll down the page and click on 'Edit' under 'Choose 3 to 5 friends to contact if you get locked out'. Click on 'Choose friends' because you haven't chosen any friends yet. Again 'Choose Trusted Contacts'. 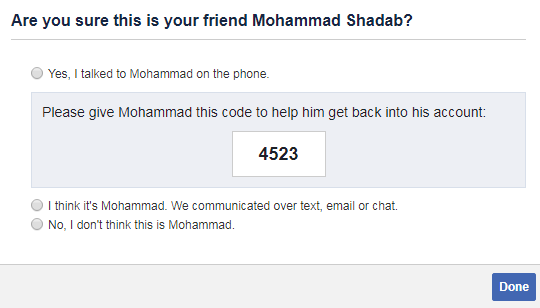 Now, start typing your friend's name and select your friends at-least 3 upto 5. Once you have selected all the trusted contacts click on 'Confirm' button. Your trusted contacts have successfully added. A notification will be sent to all your trusted contacts that you have set them as a trusted contact. Note: If you remove someone from your trusted contacts then it will not be notify to your friend. 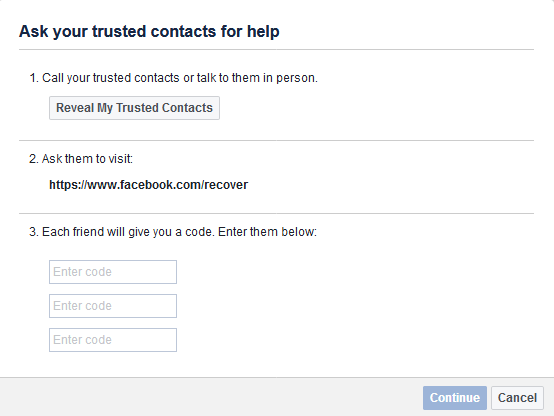 Now, you have successfully added trusted contacts to your Facebook account. The second part of this article is that how can you recover your Facebook account when you're in trouble logging to your Facebook account. Click forgot account from the login page. Now, enter your username, full name or email address to search for your account. If you have forgotten your trusted contacts, then click on 'Reveal My Trusted Contacts' and type full name of one of your trusted contacts. All the trusted contacts will be listed. Now call each of your trusted friends or chat with other social networks and ask them to visit https://www.facebook.com/recover (If you trusted friend uses mobile phone, ask them to visit to mobile browser and login to their Facebook account and then visit https://m.facebook.com/recover). Once they visit to the link, they will see you need help. 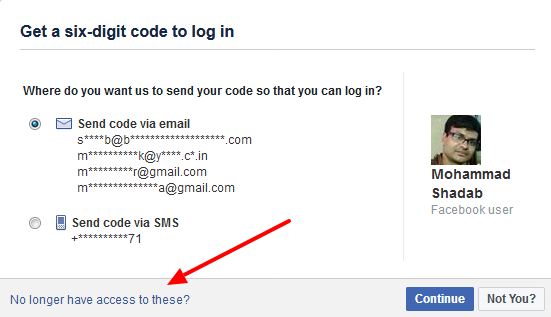 Once they clicked on 'Continue' button, they will see the options to confirm your identity. Your trusted contacts will now chose the suitable options according to the communication type. After selection of communication type, once they click on 'continue' button they will see a code that you need. Take these codes from all of your trusted contacts and type all the codes one by one in 3rd step as shown in figure: 1. Once you type correct codes and click on 'Continue', a window will prompt up to type the new password. It's Done! If you like this tutorial, check out the latest Facebook tips and tricks 2017 list. Subscribe us for more tricks for free!